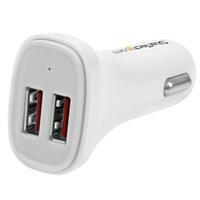 This 2-port car charger lets you charge two mobile devices simultaneously, while you’re driving. The charger can deliver 24 watts of power in total, sharing 4.8 amps of power between both ports. This means that you can charge two tablets at the same time. 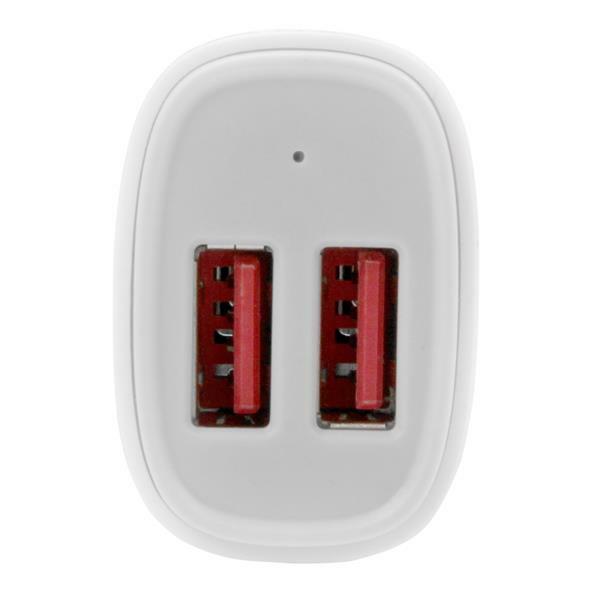 The dual-port charger features Smart IC technology, which enables it to identify what type of device is connected to each port. 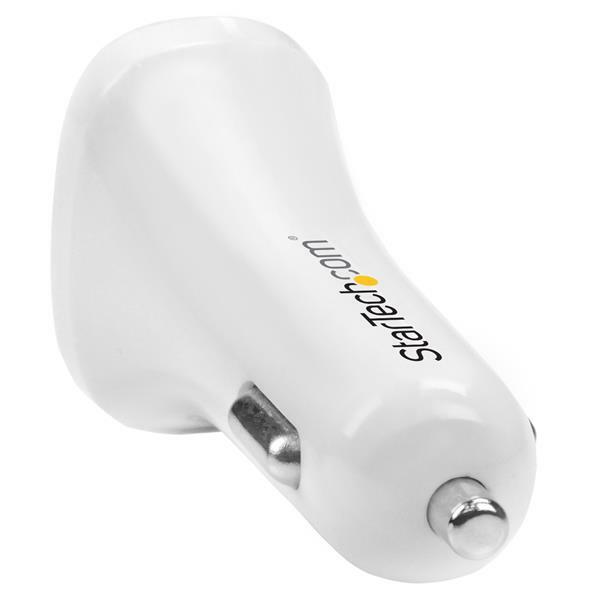 By recognizing the attached device, the charger delivers the optimal charge that's specific to each device. The charger supports USB Battery Charging Specification 1.2, which ensures compatibility with a broad range of mobile devices, including the Apple iPhone and iPad, the Microsoft® Surface™ tablet, the Samsung Galaxy Tab™, Nexus™ phones and more. When you’re traveling with a passenger, this means that you can charge their device as well as yours, and ensure that both of your mobile devices are ready when you arrive. 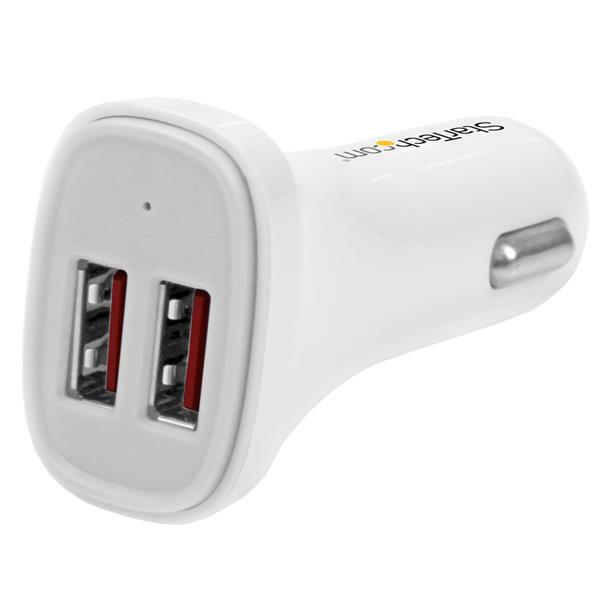 The USB2PCARWHS is backed by StarTech.com's 2-year warranty to ensure dependable performance.